Calhoun Community College offers a concentration in Criminal Justice for those students seeking an Associate of General Studies degree. This is a versatile, comprehensive degree consisting of 22-24 semester hours of criminal justice and related courses, supplemented by 42 hours of general education courses. The Criminal Justice concentration can be used in one of two ways. First of all, it is suitable for those wishing to seek immediate employment in the criminal justice field after graduation from Calhoun Community College. The Alabama Department of Corrections, State and local law enforcement agencies, local or private correctional facilities, and local security operations are all examples of agencies that hire frequently from the student pool with this emphasis. The Criminal Justice curriculum is also designed for students who wish to transfer to senior colleges and universities for further study toward a bachelor’s degree in Criminal Justice or a related field. The student should consult with an academic advisor at Calhoun for advice regarding transfer. Careers in probation, juvenile justice, law enforcement, corrections, security, and court administration, as well as most federal jobs within the criminal justice system require a bachelor’s degree. 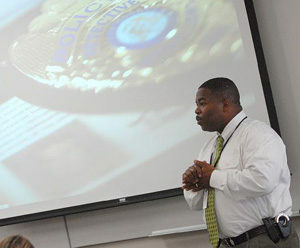 Calhoun Community College offers criminal justice courses on both the Decatur and Huntsville campuses during a variety of days and times to fit many schedules. Calhoun also offers many criminal justice classes in a distance education format. Everyday, Americans are confronted with endless images of gangs, drugs, armed robbery, domestic violence, and white collar crime. 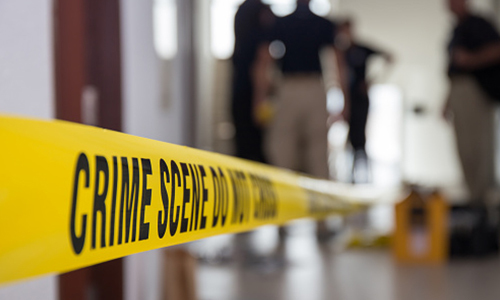 With one out of every four families victimized by crime each year, it is not surprising that two recent surveys found crime to be the number one concern of American citizens. The criminal justice system is the network of agencies and employees whose sole purpose it is to battle America’s crime problem. Many are discovering that one of the best weapons in this war is a more educated criminal justice professional. The Criminal Justice curriculum at Calhoun attempts to provide students with a well-rounded educational experience. Some courses, for instance, may be very theoretical, while others offer opportunities for hands-on application. Before completing their degrees, many students choose to do an internship with one of over 25 participating agencies. This gives the student a glimpse of the criminal justice system in action. Calhoun also has an active Criminal Justice Club which participates in various service projects and social activities throughout the year. Calhoun has one full-time and numerous part-time faculty member dedicated to Criminal Justice with the appropriate academic preparation and practical experience in law enforcement, the courts, corrections and juvenile justice. There are nearly two million criminal justice employees in the United States. Starting salaries vary depending upon the amount of education required, but a good average is around $32,000 annually. With the current concern about crime, it is expected that career opportunities in the field will remain strong both nationally and locally. However, due to the fairly large number of individuals who are attracted to criminal justice careers, hiring for all positions is always competitive. Applicants must take the initiative to set themselves apart from the rest. An emphasis in Criminal Justice is a step in that direction.